We have an upgraded Hyper-V cluster from 2012 R2 to 2016 and I wanted to make some more space on the volume that it resides on so I started looking on the settings of the VMs. As I concluded in another blog post there can be a discussion about if we really need the setting of “Save VM state” for the VM´s in a Hyper-V cluster. It is viable to have this setting on VM´s that reside on a standalone host and if doing maintenance it saves the state of the VM during host reboot. So what is the thing here, well some of the VM´s in this cluster have got their VM version upgraded to 8.0 but some was still on 5.0. If i just check on the SC VMM I could find the VM´s configured with “Save VM” and amount of storage that they consume. 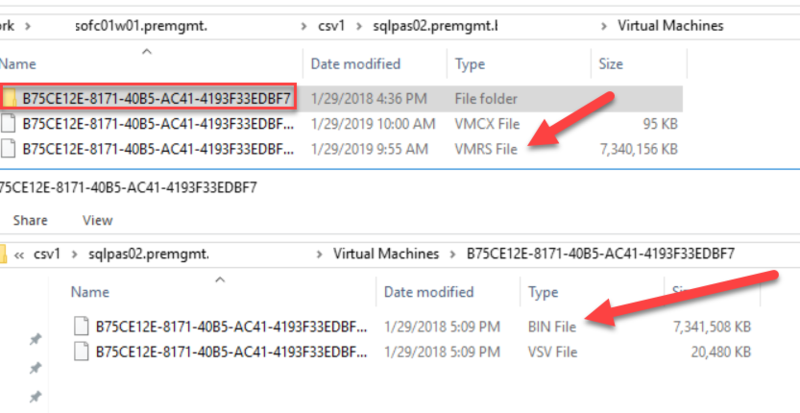 Apparently some of the VM´s that have been upgraded from 5.0 have their bin file still in the subfolder. $vms = Get-SCVirtualMachine | where Version -eq "8.0"
Now finally Microsoft have updated the misleading documentation on supported guest os within Hyper-V. 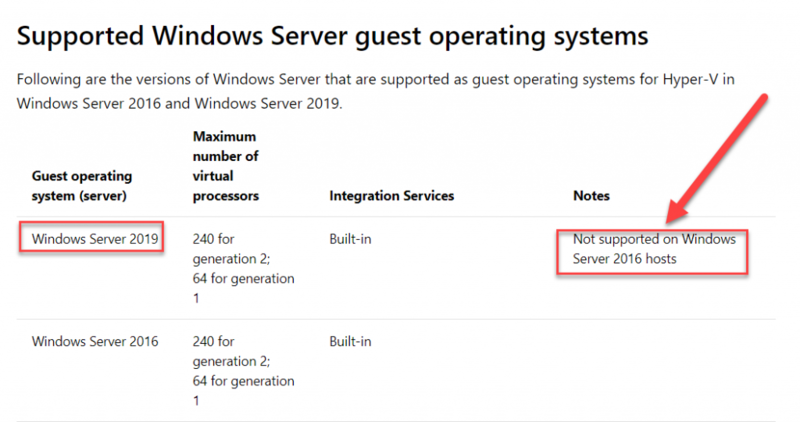 This is quite important as some people tend to get stuck on small details and as my good friend Didier wrote on his blog, Hyper-V supports guest OS n+1, although that now gets a bit altered with the semi-anual releases. There is though a small or big thing that needs to be considered if you have an environment with Hyper-V servers and utilize the AVMA. 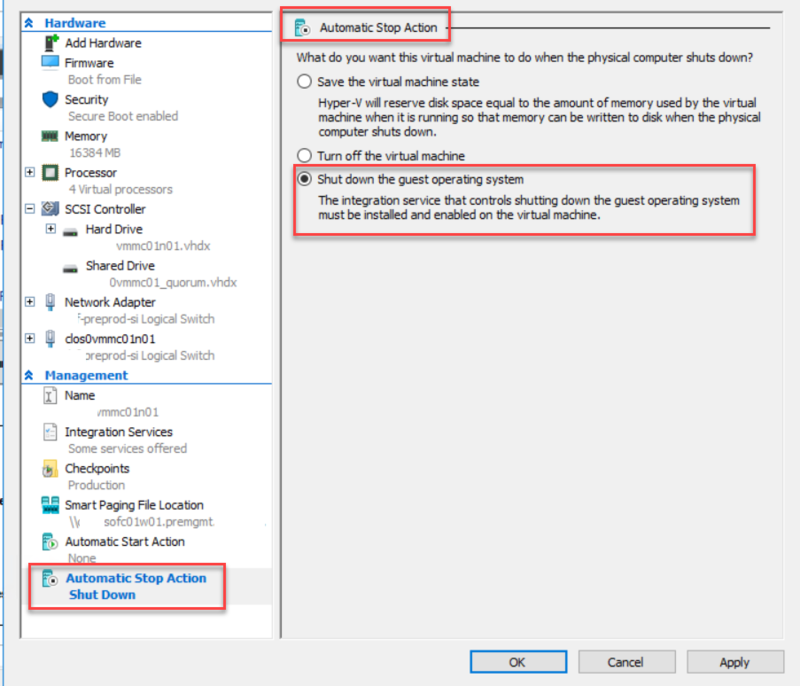 If you plan to deploy Server 2019 guest VM´s there is no way to get them auto activated on a 2016 Hyper-V host. If you are a bit more old fashioned and utilize a KMS you will just need a KMS server that is newer than 2012 as the key for 2019 needs the KMS to be hosted on at least a 2012R2 Windows Server! My homelab environment consists of two Intel NUC and I have been playing around with the insiders previews of Server 2019 on one of them and the other one was running Server 2016. After I did this and rebooted the server I could update the nic drivers that I already had modified as per this blog post. 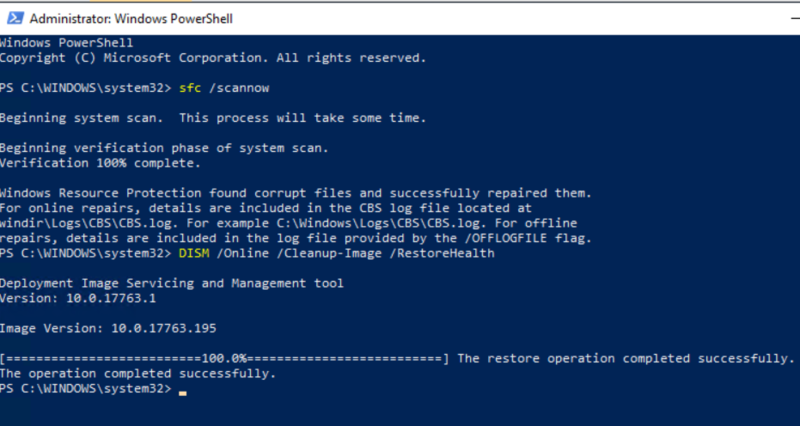 I had a small issue with the Windows Update after the upgrade and it would not finish installing the CU of 2018-12… As a mitigation if this I went for the command line tool of System File Checker, SFC and the parameter /Scannow I also did a Dism repair and after these two successfully ran I could continue with the Windows Update! Installing the update keeps the settings and license so no fuzz there! Configuring is really easy and getting the backup up and running was a breeze. Altaro have made it easy with good info and guidance on schedules and configurations needed! After Install of the mother I see in the console that my agent on the other Hyper-V server needs to be updated also to work properly. 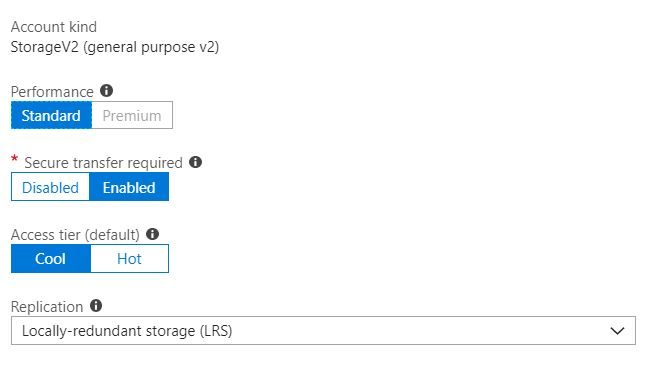 One really nice feature is the Cloud Backup to have a storage account in azure as offsite location where the backups can be sent. I can set the storage account to cool and thus save a bit on the cost! 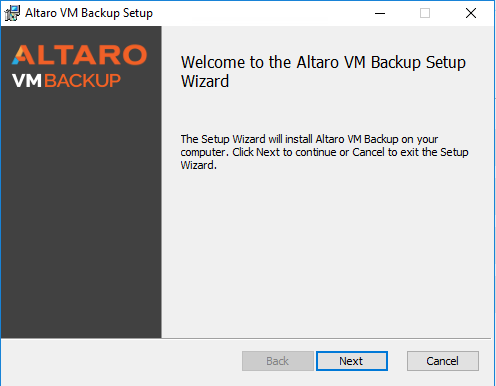 After setup in Azure you need to configure Altaro Backup and add an offsite location. 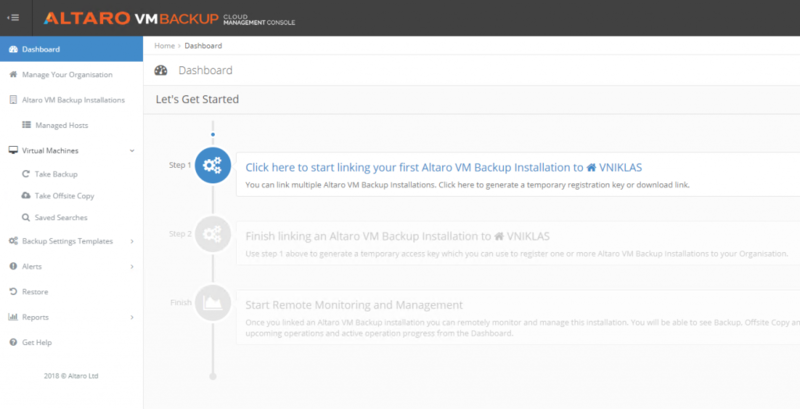 Another great feature that can be configured is the Altaro Cloud Management Console that makes it easy to stay on top of your backups and you can reach it from anywhere with a browser! 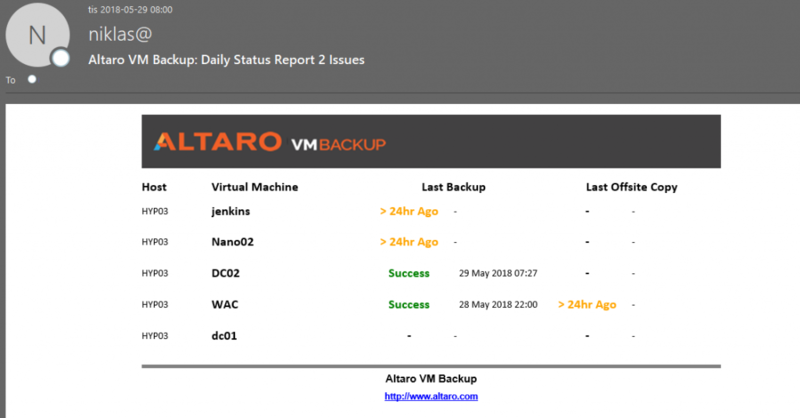 Getting the Altaro Backup solution up and running is really straight forward and easy! I have not yet tested it in a large scale environment yet but it seems really great and have as I described above some very good features! I urge you to take it for a test run and see for your selves! The recommendation stated is that for virtual machines running on either VMware or Hyper-V should be configured with a High Performance power plan. If you save the following powershell functions in a folder on c:\program files\windowspowershell\modules\powerplan you can then import it as the screendump and utilize it either on a local server or remote server. Enable Hyper-V Module for PowerShell. 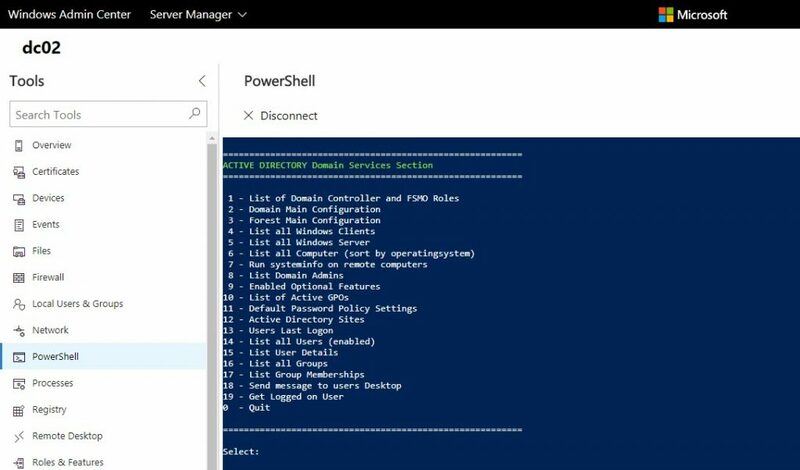 Windows Admin Center requires PowerShell features that are not included in Windows Server 2012 and 2012 R2. 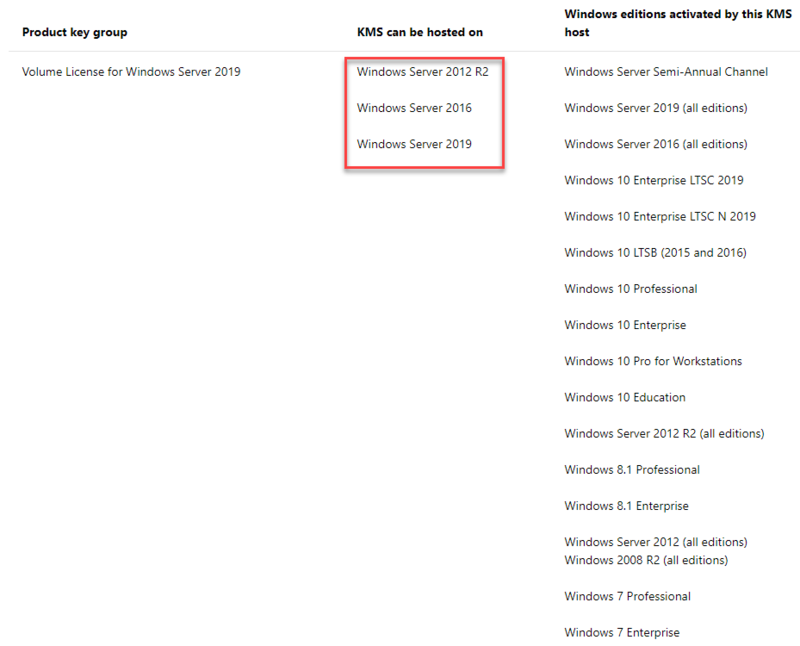 If you will manage Windows Server 2012 or 2012 R2 with Windows Admin Center, you will need to install Windows Management Framework (WMF) version 5.1 or higher on those servers. 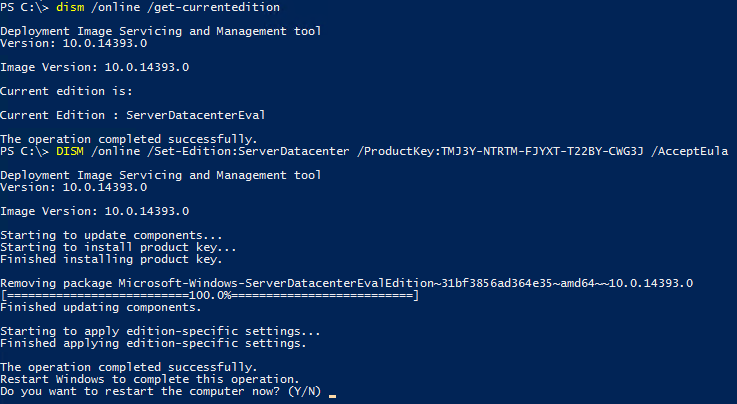 Type $PSVersiontable in PowerShell to verify that WMF is installed, and that the version is 5.1 or higher. If WMF is not installed, you can download WMF 5.1. Today the preview version of vNext LTSC (Windows Server 2019) build has been released on Windows Server Insider and now you can download and test the features and system. Network traffic going out from a VM host can be snooped on and/or manipulated by anyone with access to the physical fabric. While shielded VMs protect VM data from theft and manipulation, similar protection is required for network traffic to and from a VM. While the tenant can setup protection such as IPSEC, this is difficult due to configuration complexity and heterogeneous environments. Encrypted Networks is a feature which provides simple to configure DTLS-based encryption using the Network Controller to manage the end-to-end encryption and protect data as it travels through the wires and network devices between the hosts It is configured by the Administrator on a per-subnet basis. This enables the VM to VM traffic within the VM subnet to be automatically encrypted as it leaves the host and prevents snooping and manipulation of traffic on the wire. This is done without requiring any configuration changes in the VMs themselves. If you have not signed up for the insiders do so now and start playing with this new release, I am in the works of upgrading my lab! As I described earlier I had an eval image in my marketplace that I used to provision servers and I wanted some of them to be converted so they could be correctly activated and reconfigured away from eval. 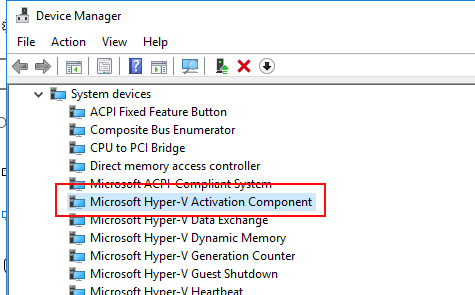 The AzureStack uses the function within Hyper-V for the VM´s that is called Automatic Virtual Machine Activation and as you can see in the device manager the device Microsoft Hyper-V Activation Component and the VM´s should have the appropriate AVMA key on them and if the host is licensed with the right key the VM will activate automatically. On this page you can find the keys you need for the different guest-OS that it can be used with! A Windows Server 2016 AVMA host can activate guests that run the Datacenter, Standard or Essentials editions of Windows Server 2016 and Windows Server 2012 R2. If you just want to change a key and not versions you can utilize the slmgr /ipk <AVMA_key> instead of the DISM! We are doing some work in adding functionality and found an issue today! 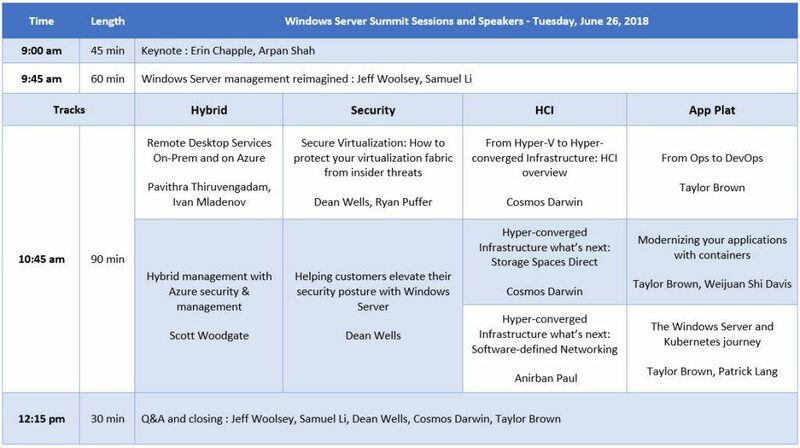 We have quite a few workloads running on a converged setup with Hyper-V nodes accessing storage from Scale-Out File Servers. In our lab environment we have Hyper-V running on Server 2016 and these get their storage from SOFS and they currently run 2012 R2. 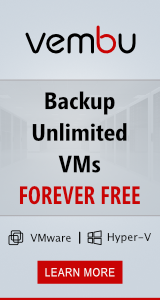 For ordinary VM´s that has not been a problem. 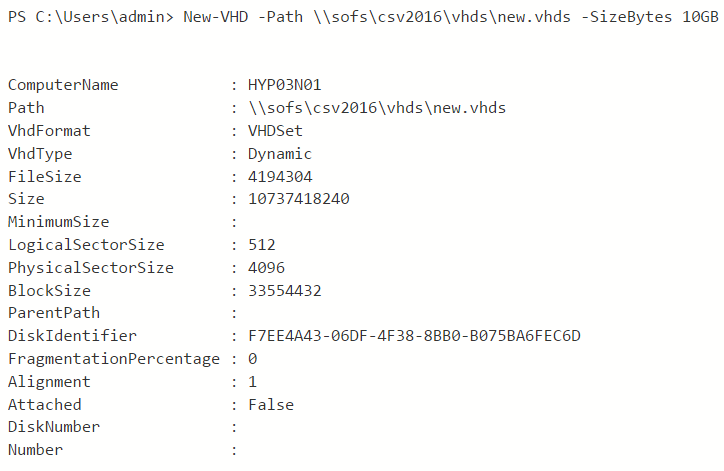 Now we wanted to get the VHD Scale sets (enhanced shared VHDX) set up for guest clusters running guest OS win 2016. The documentation says not so much more than you need storage residing on a SMB or CSV volume, but when trying to add a VHDs file we get an error stating that the SOFS server does not recognize the file format of the vhd set and think it is a reserved file for windows!